Louisiana. Named after France’s King Louis XIV (history lesson, y’all), the boot-shaped state has a rich and storied history when it comes to American music. One of the great musical capitals of the world and the birthplace of many various styles of rock and roll, blues and hip-hop, the city of New Orleans remains a landmark hub for both those practicing and reviving the music of the past and those at the forefront of new musical trends. And any true music fan and historian doesn’t need to watch Treme to know that fact. But while the state has given us everyone from Jerry Lee Lewis to Britney Spears over the years, our list highlights some recent artists who continue to build upon the state’s already impressive legacy. Headed by Deadboy & the Elephantmen/Generationals drummer Tess Brunet and featuring a seemingly rotating list of musicians, Au Ras Au Ras is small in scope, but in the best kind of way. 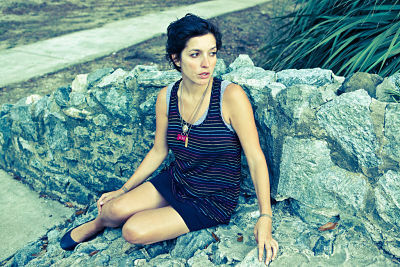 The songs wrap Brunet’s delicate, ethereal voice in a variety of different productions from stark electric guitar plucking to electronic beats. Listening to Au Ras Au Ras’ brand of dream pop, one cannot help but picture a film noir-inspired nightclub with Brunet acting as the appropriately sad lounge singer. It’s rainy day music for sure but enticing enough that you don’t have to wait for storm clouds to tune in. Brass Bed’s brand of reverb-drenched, slow-burning guitar rock is a pure thrill to take in. But despite their predilection towards the bombastic, the group is always quick to balance the noise with some Beach Boy-inispired harmonics. All of this is anchored by Christiaan Mader distinctive caterwaul. The one downside? Their name makes Googling them a tad difficult. Upcoming Release:: Maps (or Cartography and the Art Of Generalization) EP due in April. 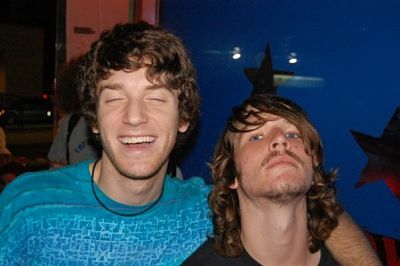 Founding members Jonathan Pretus and Stephen Turner’s first musical project was a Weezer tribute band named tWeezer. 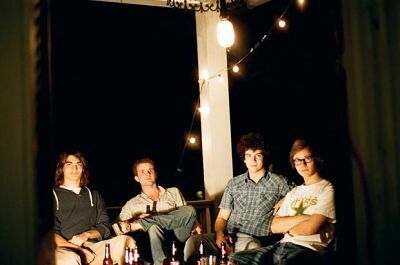 Though the band has since found their own unique sound, their penchant for catchy melodies and “air guitar”-worthy solos certainly brings to mind Weezer at its best. Like The White Stripes and The Black Keys, Caddywhompus consists of two members, but boy can they pack a punch. Taking their name from a colloquialism that means “crooked” or “uneven,” one would be tempted to apply that term to their musical output. Yet, in reality, the band is the best of both worlds. They put out quality work that never meanders or overstays its welcome like lesser experimental noise bands. Simultaneously, they never sacrifice their sense of explosive spontaneity. Songs such as “Feathering a Nest” begin casually before effortlessly transitioning into a beautifully crafted wall of sound . Another band with a difficult-to-Google name, this three-piece nevertheless burns with confidence and swagger. Duz Mancini’s twangy, whiskey-soaked vocals give credence to the band’s alt-country, Americana milieu. 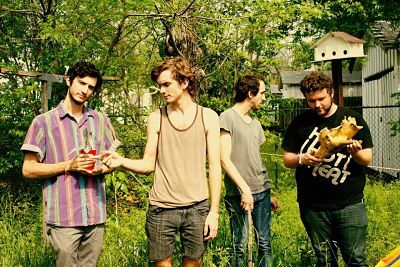 Incidentally, the band began life as an Los Angeles-based outfit before settling home in the New Orleans indie rock scene. Considering their brand of music, here’s betting they were more than welcome. Upcoming Release: Set to release a new EP in early 2013. The collaborative project of brothers Andrew and Dan Callaway and their father Liam, England in 1819 deals heavily in atmosphere, employing a style that seems part Explosions in the Sky and part indie-film soundtrack. Unlike Explosions, not all of the band’s songs build towards some grand crescendo, but when they do (as in the song “Waterfall”), it’s a powerful moment. Add in the airy vocals and the heightened poetic nature of the lyrics and the songs are almost chilling in their emotional intensity. 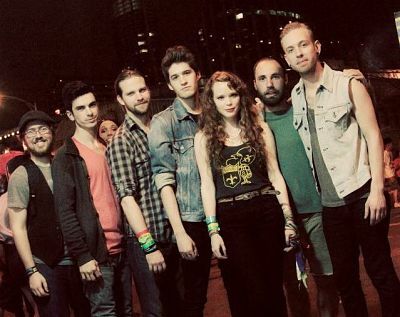 Band Members: Kyle Craft, Jason Sedillos, Rick Hancock, Haley Massey, Joshua October, and Landon Miller. Prior to settling in Athens, a lot of people forget that Jeff Mangum and the rest of the Elephant 6 crew originated out of rundown houses and apartments of Ruston, Louisiana. 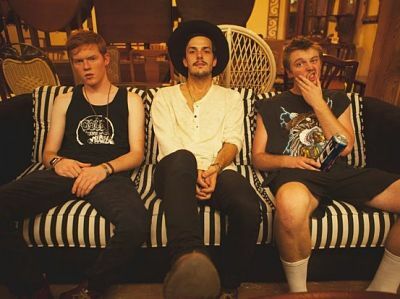 With their propulsive beat, off-kilter instrumentation and the lead singer’s unique falsetto, Gashcat owes a lot of its sound to Mangum and Co. That being said, the sheer energy and inventiveness of each song is almost enough to leave the listener breathless. Low-key but with a sinister edge at times, Gold and the Rush’s brand of roots-based, alt-country rock is a hypnotic hybrid of old and new. Supported by a tight rhythm section, augmented by some expert guitar noodling and spearheaded by McGregor’s shaky, yet haunting voice, Gold and the Rush are the kind of band that can soundtrack both the fun night out on the town and the inevitable despairing morning hangover (sometimes in the same song, in fact). Rareluth sounds like the type of band that should have made its way onto the soundtrack for the movie Drive. Throughout their debut Demo, lead singer Christine Peirce releases her ghost-like vocals over twinkling synths and a dynamic rhythm section. Living proof that great synth-driven bands are not exclusive to the big cities. Full-forced, exuberantly happy dance pop always runs of the risk of being too unabashedly earnest for its own good. Royal Teeth, however, boasts such a sweeping and sweet sound that resisting it is all but futile. 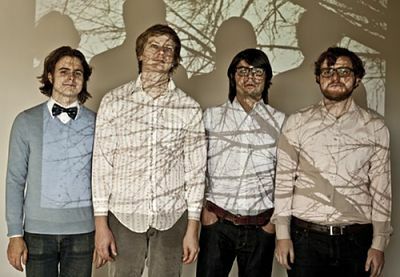 The band shares a Arcade Fire-esque penchant for releasing broad, anthemic compositions. Whereas Arcade Fire traffics in occasional dreary or somber subject materiel, Royal Teeth approaches their songs with the giddy, infectious energy of an of Montreal or early MGMT. Sun Hotel is the sound of a band completely in control of their unique blend of ambient folk, wailing guitars and gospel tendencies, and it’s mesmerizing thing to behold. Sometimes beautiful (“Alchemy”) and sometimes rocking (“Plantation Land”), the band plays the type of songs that pay tribute to an older form of music while inserting a modern and very relevant twist to the sound. Proudly waving the DIY flag, Sun Hotel stands as a shining example of the indie aesthetic. 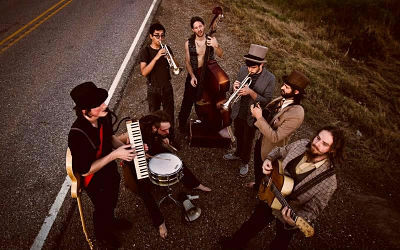 Picture Gogol Bordello with a Louisiana twist and you’re likely to end up with the vibrant force that is Vagabond Swing. The group is a party band if there ever one was. 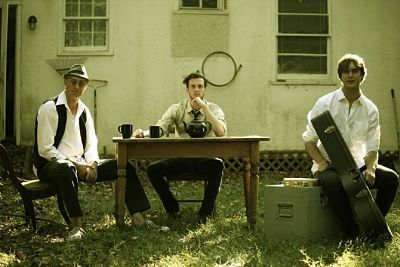 With their incorporation of bluegrass, ska, swing and a multitude of other genres, Vagabond Swing sounds like the type of band that would be playing the craziest, most debaucherous wedding you’ve ever been to. Their most recent album, Soundtrack to an Untimely Death is broken up into a five-chapter story, forming a sort of multi-part gypsy ballad. See all the bands in our 50 States Project here.